If the Congress party needs to guard against the triumphalist revival of ‘Congress culture’, both the Left and the Bharatiya Janata Party must also re-evaluate their political strategy. With the poorly conceived, programmatically agnostic Third Front promising little more than political instability and the Bharatiya Janata Party standing for greater social turmoil and division, the victory of the Congress is a vote for calm, centrist stability of the kind the country has not seen for more than two decades. That voters have attached a premium to both the formation of a stable government and to the pursuit of social-democratic policies should come as no surprise given the spectres of economic hardship, terrorist violence and communal polarization that haunt our collective psyche today. The only irony is that the Left and the Congress, whose partnership for four out of the past five years provided the United Progressive Alliance both the aura of stability and the caché of populism, should have ended up such bitter rivals. In the run up to the general election, the coming together of major challenges like the world financial crisis, the implosion of Pakistan and the rising tide of religious intolerance within India and the region had shifted the matrix of rational policy in such a manner that the issues on which the Left and Congress had parted company last year made no sense at all to voters in 2009. On most issues of consequence, domestic and foreign, the distance between centrist and leftist policy was getting eroded. Having resisted the National Rural Employment Guarantee scheme when activists first mooted the idea in 2004, the Congress took it up seriously only after the Left parties made it a priority. Even then, conservative elements within the ruling establishment like Montek Singh Ahluwalia of the Planning Commission remained skeptical and sought to limit the central government’s fiscal commitment to it. Only when the economic slowdown hit India in 2008 — and the importance of NREGA as both a politically convenient safety net for the poor and an accelerator-multiplier to kickstart the economy became apparent — did the Congress make its implementation a priority. The Congress may have been a late and even reluctant convert; but what matters finally is that the party and Left ended up on the same page. On other economic matters which divided the Congress and Left like financial sector liberalization, the fact that the Indian banking and insurance sectors were insulated from the global turmoil which felled giants like AIG and Lehman Brothers provided a further basis for the two sides to speak the same broad language. Instead of celebrating the return of the social-democratic paradigm and using this to leverage a further shift away from neoliberal dogma, however, the Left found itself holding the can on the one free-market policy its rural support base viscerally opposed: land acquisition. If nationally, the CPI(M) and its allies were pilloried for a leftism that was largely declaratory, the Left Front paid the price in its bastion of West Bengal for the “rightism” of its policies that allowed Mamata Banerjee to emerge as a defender of the peasantry’s right to till the soil. Consider the irony: the Left broke with the Congress because it felt the latter had deviated from the Common Minimum Programme of 2004. But in 2009 it allied itself to a diverse set of political parties without any programme other than the desire to establish a “non-Congress, non-BJP” government. So it was that the Left found itself at election time with allies like the Telugu Desam Party, the All-India Anna Dravida Kazhagam, Biju Janata Dal and Bahujan Samaj Party – groups that had no interest in pushing the direction of national economic policy one way or the other and which had all, in recent times, been closely associated with the BJP and its communal politics. This programmatic dilution of the ‘Third Front’ allowed the grouping to look strong on paper even thought it was devoid of any political ballast. But even this might not have proved fatal except for another factor: As a result of its break with the Congress over an issue that was not so decisive to the direction of Indian foreign policy in the long run – the nuclear deal – the Left facilitated the creation of a coalition that went on to storm the seemingly impregnable red fortress of Bengal. To be sure, there were and are valid reasons for the Communist Party of India (Marxist) to have wanted to build a Third Front. But its failure to articulate a positive pro-people programme around which such a front could be established rendered the exercise electorally and politically futile. 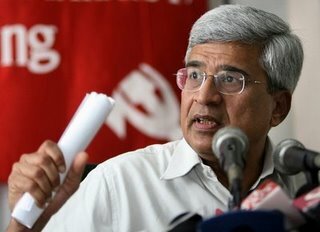 As it looks towards rebuilding itself in Kerala and Bengal and enlarging its prospects as a genuinely national alternative, the Left will have to be self-critical about its preference for conjuring up expedient top-down coalitions rather than organic, bottom-up alliances based on the kind of struggles and movements the communists know best. Unless it does so, the parliamentary communist movement will find itself increasingly squeezed by Maoist extremism on the left and the electoral machine of ‘bourgeois’ parties on the right against which it cannot easily compete. If the Left needs to introspect, what of the BJP, which paid the price for believing that the Indian voter would prefer divisiveness and strife to the comforting anchor of centrism? The rot in the party runs so deep that it cannot be reversed by the resignation of L.K. Advani. The very fact that its spokesmen thought Narendra Modi’s name would generate a wave in favour of the BJP despite the Supreme Court ordering a probe into his role in the 2002 mass killing of Muslims in Gujarat shows the extent to which they are out of touch with the pulse of the country. But since the party did relatively better in Gujarat and Karnataka, especially the coastal region where Christians, Muslims and ‘’immoral’’ Hindus have been targeted by the sangh parivar, it is possible the RSS will conclude that religious polarization is a good electoral strategy for the BJP to pursue. If this is the direction the party takes, its capacity to generate tension and insecurity in civil society will increase even if its national political prospects continue to remain dim. As for the Congress, the party needs to guard against the hubris that usually accompanies the kind of dramatic, unexpected victory it has just received. The INC defeated the Left fair and square but must realize its success owes more to the social-democratic elements of its economic policies than to the ‘reforms’ the party’s more affluent backers espouse. Second, vanquishing the politics the BJP stands for requires more than electoral success. The socio-economic and administrative support structures on which the politics of communalism thrives need to be dismantled through careful, sensitive intervention. The party must resist the old Congress way of pandering to identity politics as a low-cost way of doing the right thing by India’s diverse electorate. India’s Muslims, for example, want equal opportunities and justice, not the banning of a book or the expulsion of a Taslima Nasreen. Providing these will involve taking on entrenched interests and attitudes, especially in the police and administration, something the Congress has always shied away from doing. Finally, the re-election of the UPA must not be seen as a license to indulge in the ‘Congress culture’ of the past. The public got a glimpse of that culture when some leaders started pushing for Rahul Gandhi to be made Prime Minister as soon as the scale of the party’s victory became apparent. Sonia Gandhi did well to nip these demands in the bud. If she can go further by pensioning off entrenched interests and democratizing the functioning of the party’s leadership, the Congress will be better placed to meet the expectations of those who have voted for it. @Raghav – You make a very valid point that the debate on free markets always veers towards either you are with it or against it. Infact, I think a lot of debates in our country always end up on such a note itself. Also, to drift a little, While reading a point you made about spending in education, just wanted to say that I think the government should invest much more into building infrastructure for education. 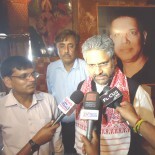 @ Ravi – I think the people of the country rejected Narendra Modi too in this election. The debate on his role in the anti-Godhra riots is eternal, and will resurface each time he tries to venture out of Gujarat. Unless the BJP finds another Vajpayee and Pramod Mahajan, they stand very little chance of improving their national image. I wish to make another point that I have learned after this election. The reason I am bringing up this topic is that sadly the electronic media did not cover the issue threadbare and it was more rhetoric than substance on the TV. And the rhetoric inadvertantly helped people form the opinion that the Left is against what is best for the nation. The electronic media also twisted out of shape the argument of a weak Prime Minister. The electronic media, for most of the time,concentrated more on sound bytes rather than actual issues. I have listened to the full speeches of many political leaders, and have found that almost all the speeches had varied content on important topics. Sadly, those views were exactly not conveyed to the people of the country. And hence the urban voter apathy increased further. I think the electronic media has to play the role of an intelligent journalist like the print media does. Otherwise, there is a danger that the apathy of the Urban voter will further increase. A perfect example is the discussion you put in your previous blog. We should have more of those, to educate the viewer. Nation building is a very heavy term we always use in abstract. But when 60% of urban voters don’t participate in it, it loses it’s meaning. democratising congress leadership is the most beautiful dream we can have . Come 2050 you still will have a gandhi doing business for congress . This election is a vote against instability more than anything else . The third front was routed and BJP lost some incumbent candidates but remained intact . The reins should be given to Narendra Modi now . Only NM’s strong man image is going to pull BJP out of this disaapointment and give some strength for the party . As of now i agree that congress has gained in strength and it would be a titanic task for BJP to pose a contest even in the next election . Defination of “free market” in the west specialy US is when state is pro-private business, subsidises private business, goes against citizens intrest in favor of private business should the clash… at every step of the way. Then the system is called “free market”. For more examples look at wall street bailouts. samratashok: I was not judging if govt interference is a good or bad thing, just that govt interference is happening in land acquisition, which ergo is not a free market policy. Anonymous: A patent is a govt granted monopoly, whatever the justification for it (again I am not making a value judgment whether patents are good or bad). In contrast, a pure free market philosophy argues for no govt. intervention at all. This is the justification used for instance to cut back on welfare schemes. Here is a value judgment: arguing for cutting back on govt involvement in say education on the grounds of free market philosophy but supporting or even keeping quiet on govt interference via patents is hypocrisy. The point is critical, IMO. The debate on neoliberalism is always framed as a debate between those that support free markets and those that oppose them. I think this framing is totally wrong. It’s a debate between those that want govt to intervene in corporate interest versus those that want govt to intervene in public interest. <>patents and IP are the opposite of free markets.<><><>Why? If I discover/invent something I have the freedom to decide what I should do with it. I am free not to impose any kind of property rights if I wish. I can also sell it as I wish. Just like any other product in the free market. It all depends upon the situation and the approach of the government . People may argue that the farmers can negotiate their own deal with industry . But big industries can easily consume small farmers or much worse employ land mafia to sabotage the livelihood of farmers . In that regard it is important for the government to intervene . You are right in principle, land acquisition facilitated by the state is a violation of the “free market”. But it is very much part of the neoliberal paradigm as practiced in India and abroad. Good article. I agree with most points except one. You describe land acquisition as a “free-market policy” when in fact it is the opposite of a free market policy. In a free market policy, the government would not be allowed to use an old law namely the Land Acquisition Act to acquire land. In fact the government would play no role in land acquisition. Land would be traded in a free market between owner and buyer. In fact, we often hear of the neoliberal idea as that of opening up markets. It is only partially and selectively about opening up markets only partially. The Land Acquisition Act is one counter example. Another counter example is the TRIPS regime – patents and IP are the opposite of free markets. This is not to say free markets are great. Just that there is no true believer in free markets around, though there are many who claim to be so. This entry was posted on May 19, 2009 by Siddharth Varadarajan in Indian Politics.